How do you turn your struggles into strengths? Beloved Bible teacher Sheila Walsh teaches readers how the daily spiritual practices of confession, meditation on God’s Word, and prayer result in fresh freedom in Christ. 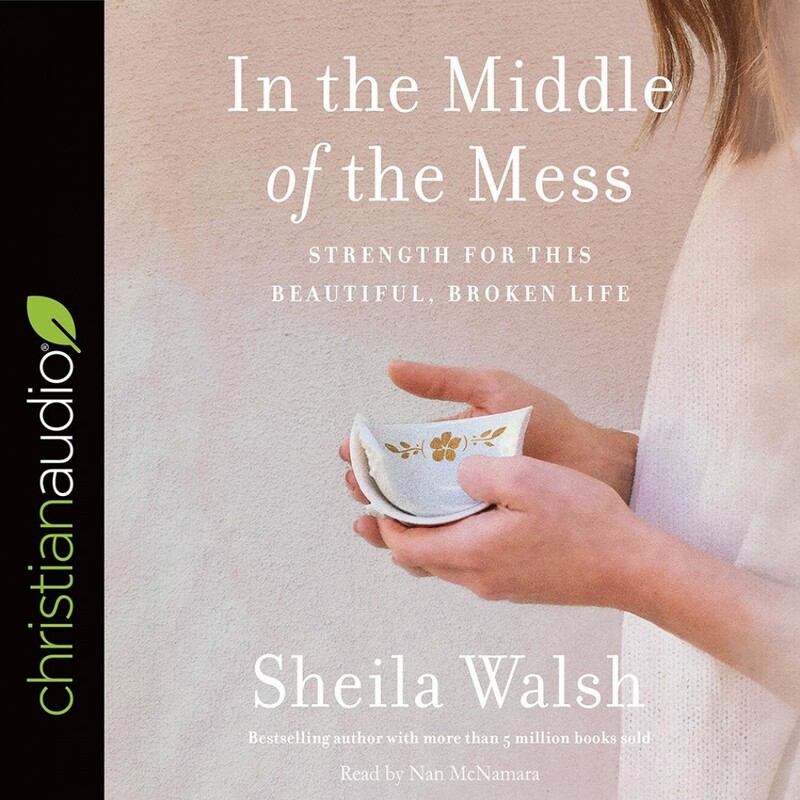 In her long-awaited new book, Sheila Walsh equips women with a practical method for connecting with God’s strength in the midst of struggle. From daily frustrations that can feel like overwhelming obstacles to hard challenges that turn into rock-bottom crises, women will find the means to equip themselves for standing strong with God. Using the spiritual applications of confession, prayer, and meditation on Scripture to form a daily connection to Jesus, women will learn how to experience new joy as a child of God who is fully known, fully loved, and fully accepted. In In the Middle of the Mess, Walsh reveals the hardened defenses that kept her from allowing God into her deepest hurts and shares how entering into a safe place with God and practicing this daily connection with him have saved her from the devil’s prowling attacks. Though we will never be completely “fixed” on earth, we are continually held by Jesus, whatever our circumstances.